Cushions are the nearest acquaintances of a person who likes to cuddle up to something on a sofa or in the bed. Buy this personalized cushion for your beloved and gift them on their birthday or any other special day. 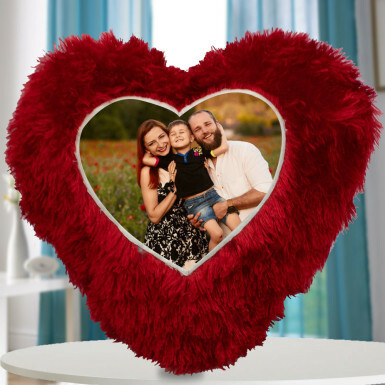 Get the most elegant photograph of you and your beloved engraved over this personalized cushion. Make sure that they think of you the next time they reach out for their cushion and feel happier instantly. Don't give a second thought and place your order now!